For more details and to sign up, please refer to facebook event page. Second up, the NUS Literary Society is once again collaborating with the National Book Development Council of Singapore (NBDCS) to bring you All-In! Young Writers Seminar 2011. It’s a free event where students (Junior College, Polytechnics and Universities) can meet an “impressive line up of experts from the writing and publishing industry”. 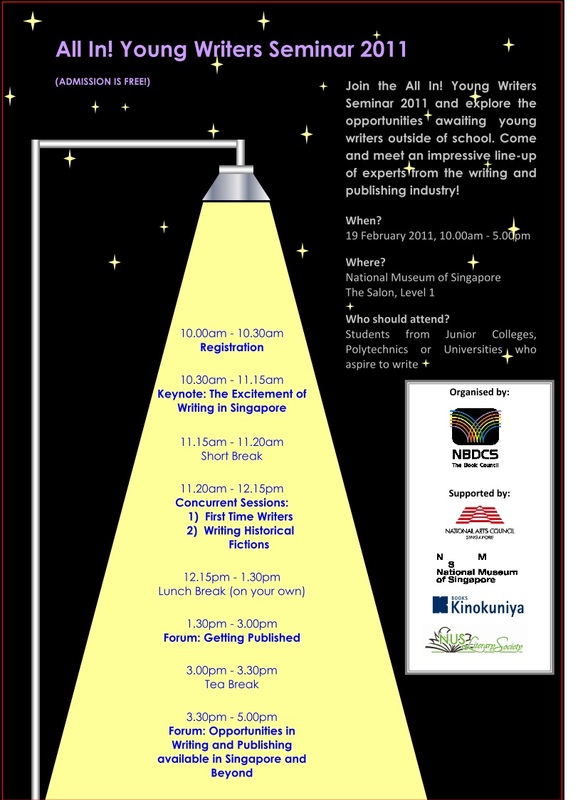 It’ll be happening on 19 February 2011, 10am-5pm. National Museum of Singapore, The Salon. Level 1. You may refer to their website for more information and to sign up! 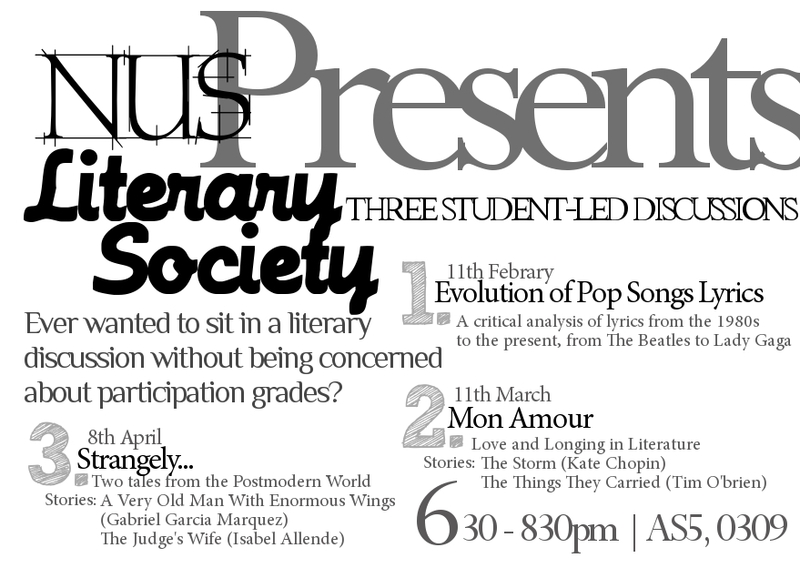 The annual NUS Literary Society Evening of Poetry and Music will feature upcoming writers and literary figures, interspersed with live musical performances from NUS music groups. Also included in the EPM will be the prize presentation for the ’10/’11 Creative Writing Competition and readings by the winners. Admission is free and all are welcome! Refreshments will be provided. 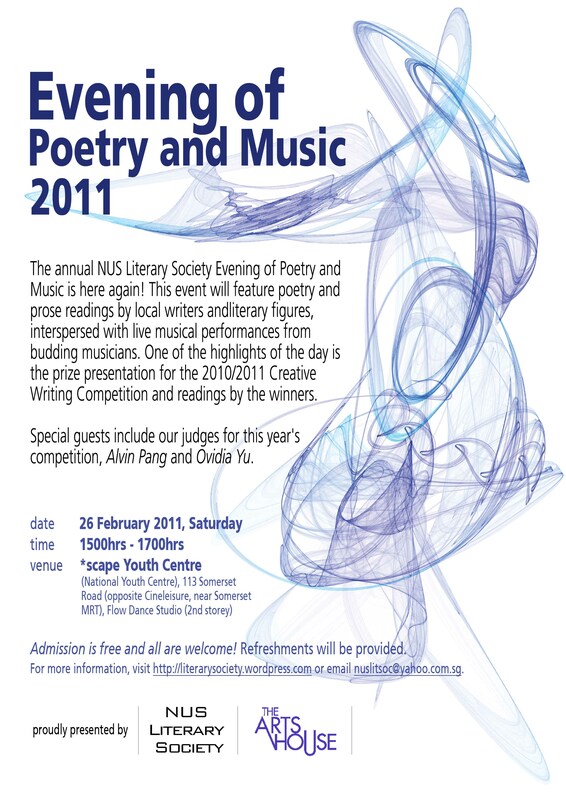 For more information, visit https://literarysociety.wordpress.com/evening-of-poetry-music/ or email nuslitsoc@yahoo.com.sg. 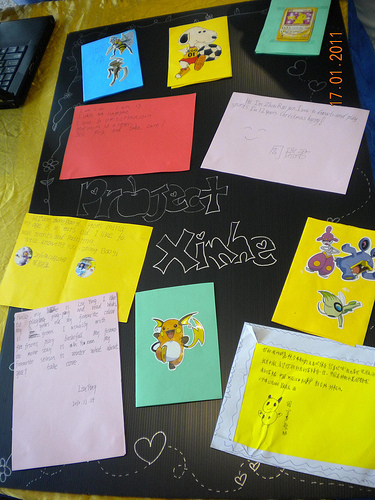 Finally, here are some updates about the Youth Expedition Program (YEP) trip which some of the Literary Society Members took part in. They visited a primary school located at Xinhe Village in Tonglu County, Hangzhou, Zhejiang Province, People’s Republic of China from 20th December 2010 to 5th January 2011. 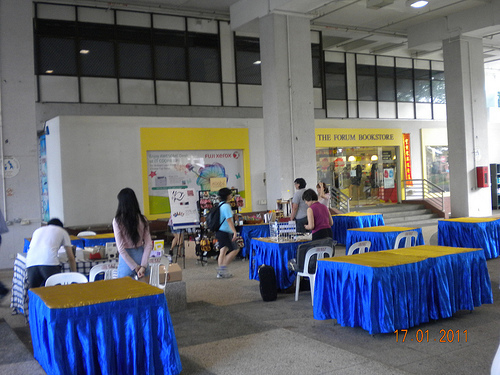 The post-trip fund raising bazaar was held from 17 to 19 Jan 2011 at NUS Central Forum. They sold Zhejiang specialties among other stuff to raise funds. 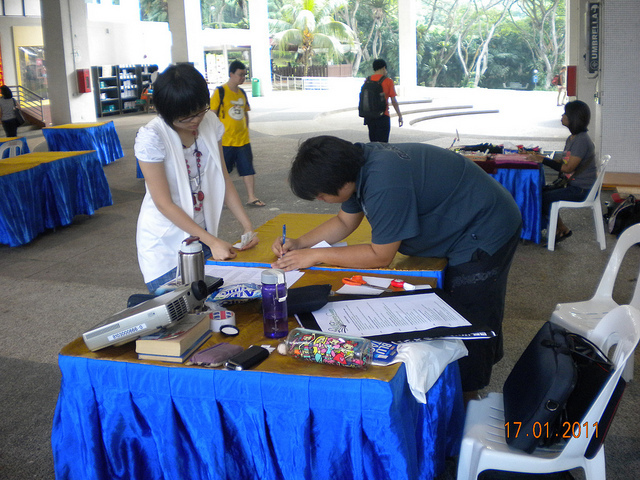 Concurrently, they had a booth to share their experience and learning points to the NUS students and staff. Hope you’ve enjoyed the updates. We look forward to seeing you at our events and to spur one another on, in our enjoyment and appreciation of the Literary. See you!